AUSTIN, Texas - Sept. 4, 2018 - PRLog -- Was it serendipity or coincidence that singer/songwriter Timothy Abbott and his band My Life Among The Cannibals released their first song, I Ate A Mushroom, off their forthcoming album the same week as the FDA approved the use of magic mushrooms? Though the song was just release last month, according to Abbott, he wrote the song in May 2018 after he was up late one night. The idea popped into his head after hearing a line from a song called "I Kissed a Girl" by Katy Perry. In a snarky moment he thought, "Oh, ok, well, I Ate A Mushroom." And a song was born. 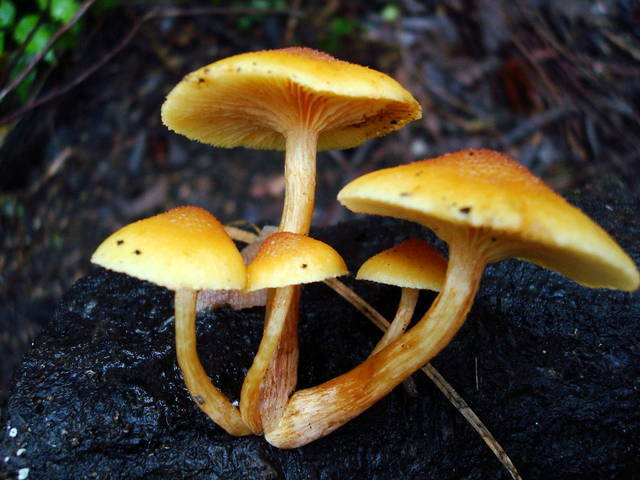 During the same week as the song's release, Compass Pathways announced that they received approval from the FDA for the use of psilocybin from 'magic mushrooms'. From their press release - "COMPASS Pathways, a life sciences company dedicated to accelerating patient access to evidence-based innovation in mental health, has received approval from the US Food and Drug Administration (FDA) for a clinical trial in psilocybin therapy for treatment-resistant depression. Psilocybin therapy combines a dose of psilocybin (a psychoactive medicine and the active ingredient in "magic mushrooms") with psychological support, and has shown promising signals of efficacy and safety as treatment for depression in academic studies in the UK and US." My Life Among Cannibals have also released a second song, Lorena, a beautiful folk song complete with mandolin, inspired by a character from the Larry McMurtry novel Lonesome Dove. If serendipity is real, could this signal a revival of the TV series? Time will tell. My Life Among The Cannibals is an Austin, TX based band led by veteran musicians Ed Kliman, Jimmy George and Timothy Abbott with contributions from Herb Belofsky (drums), Jan Flemming (accordion), Mark Epstein (bass), and Jan Seides (backing vocals). Both songs were produced by Jimmy George and Timothy Abbott, final mixed by Stuart Sullivan at Wire Studio and mastered by Steven Berson at Total Sonic Media. All songs Apricot Records ©2018.